Advertisers are always looking for new opportunities to increase brand awareness, drive engagement and acquire customers. And what better way to do so than to learn about the consumers who are signaling strong purchase intent by searching for your brand? Regardless of whether you work for a digital marketing agency or manage digital marketing in-house, you have probably questioned whether it is worth allocating media spend to capture that consumer data. They say two are better than one. In the case of organic listings on the search engine results page (SERP), truer words were never spoken. Organic listings serve as the foundation of any retailer’s presence in the Amazon marketplace, while paid search advertising complements those listings. By leveraging a combination of both tactics, you’re not only increasing the amount of real estate your brand owns on the SERP, but you’re also increasing the opportunity for engagement and conversions. Amazon doesn’t yet provide us with share of voice data, but we’ve found that the additional real estate is well worth the investment. 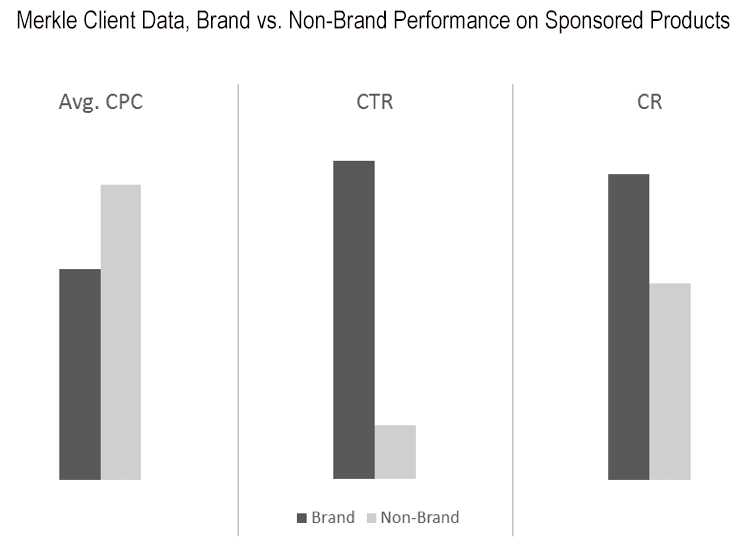 To ensure you are effectively protecting your brand space, monitor average CPCs on core brand terms. Confirm that your bids are competitive, and consider leveraging Bid+ for additional assurance. Bidding on core brand terms gives advertisers greater control of both brand presence and messaging for consumers actively searching for their brand. For some advertisers, this means ensuring that their top products show in prominent ad positions at the top of the SERP when shoppers search for their brand. Alternatively, advertisers may want to focus media spend on supporting promotional and/or recently added products with low organic rankings. If Amazon’s algorithm typically favors a given brand’s top products, then leveraging paid search and prioritizing those promotional products or recently added products allows advertisers to increase their visibility, drive engagement and ultimately improve those products’ overall organic rankings. For optimal control of brand presence and messaging, leverage all three match types (i.e., broad, phrase and exact) when developing your keyword strategy. Amazon’s intention is to serve users the most relevant ads, but there is a finite number of ad positions on the Amazon SERP. As such, owning your brand space is vital to boosting your visibility, while helping to push competitors’ ads down the SERP. Without a paid presence on your brand terms, competitors could easily win highly coveted advertising space at the top of a SERP that should be dominated by your brand. In the short run, this could cause potential customers to research and experiment with your competitors’ products, which can translate into a loss of overall market share in the long run. Last but not least, funding your core brand terms is a low-cost strategy to capture demand of consumers signaling strong purchase intent. Generally, the average cost per click (CPC) on your core brand terms on Amazon is significantly lower than the average for non-brand, upper-funnel keywords on Amazon, since your products’ ads are expected to generate higher click-through rates (CTR). Given that queries signal purchase intent, we expect the associated keyword’s conversion rates to be positively correlated with click-through rates. This translates into every advertiser’s ideal scenario: achieving a high return on advertising spend (ROAS) by capturing demand via high-converting keywords at low costs. As Amazon becomes an increasingly competitive marketplace, agencies and in-house advertisers alike should recognize the growing importance of protecting their brand space. 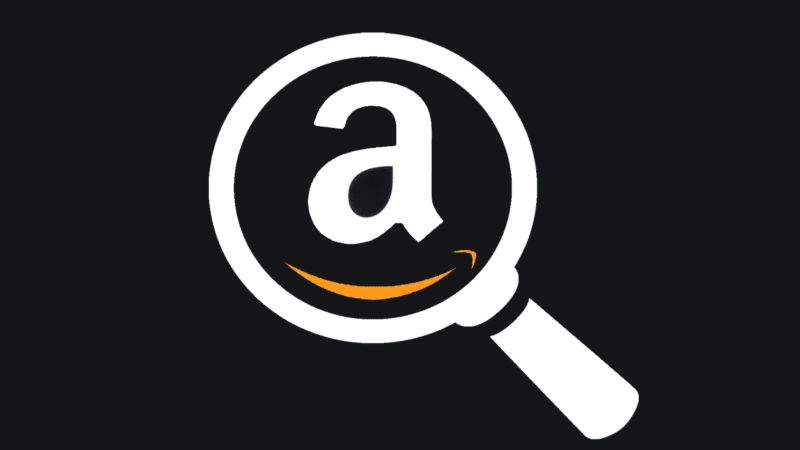 Try searching for your brand on Amazon — is it protected? If your competitors are showing in prominent ad spaces, then it’s time to re-evaluate your keyword strategy for core brand terms and reclaim your brand space. The post Why you’ll benefit from fully funding your core brand terms on Amazon appeared first on Marketing Land.